Selecting the right health insurance plan is a very important decision that can have a major impact on a person’s health and quality of life. The ideal plan covers all the services one needs at a reasonable price. 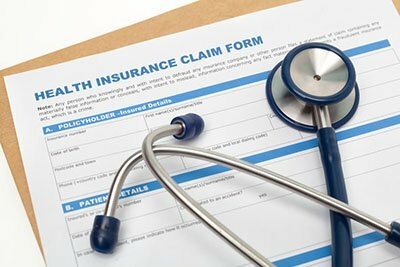 Unlike articles written by marketing departments, this article discusses how a physician would go about selecting a health insurance plan. First, we must make a distinction between three major types of health insurance plans. The most common is the commercial health insurance plan. This is the type of plan most people under 65 have. It is usually provided by an employer who selects a plan for the company’s employees. While this limits the choices many employees have, they can still influence the choice of the plan made by an employer by providing appropriate feedback. Paying for health insurance is an expensive benefit so employers want to be sure their employees are getting the full value of that benefit. When an employer contracts with a plan, employees get access to a network of physicians. If the plan then stops including those physicians in its network, the employees lose access to those physicians. But the plan does not charge the employer any less for the plan even though the employees no longer have access to their doctors. This means employers may find themselves paying for a plan that does not provide the level of service they were promised. By letting employers know when this has happened, employees can help ensure they have access to the care they need and employers do not waste money paying for plans that do not meet these needs. The next type of plan is the government provided plans – Medicare and Medicaid. Because the cost of these plans is covered by income taxes, government plans tend to be somewhat limited. Medicare is the plan for citizens and permanent legal residents over 65 years old. Medicaid is for those under 65 who are disabled or who meet certain income and eligibility requirements. Some people qualify for both Medicare and Medicaid. Since the two plans have different limitations, it might seem that having both plans is ideal. Unfortunately, this is not the case. For example, someone with Medicare and Medicaid would get medication coverage through the Medicaid formulary, which is quite limited. The third type of plan is the Medicare Advantage plan. This is the most common type of plan chosen by Medicare beneficiaries in Miami-Dade County. Since the choice of plan is an individual decision, it’s important to understand how to go about choosing a plan properly. The first step is to make a list of those physicians a patient needs to keep. Many Medicare patients, being older, go to multiple specialists in addition to their primary care doctor. The key is to identify which of those specialists is necessary. For example, patients with Parkinson’s disease, Alzheimer’s disease, or some other neurological problem will want a plan that does not force them to change their neurologist. Patients with difficult to control diabetes will need to select a plan that lets them keep their endocrinologist. Once the list of physicians is complete, patients should call those doctors’ offices to make sure their doctors intend to remain on their plan next year. If your doctor says he or she will not be on a particular plan next year, do not choose that plan. For example, if a patient with Parkinson’s disease needs to continue to see his or her neurologist, but that neurologist’s office says they will not be on Blue Cross Blue Shield next year, then that patient should not select a Blue Cross Blue Shield plan. Some patients are misled by marketing materials that claim a plan covers a particular hospital. They assume if the hospital where their doctor is on staff is on a particular plan, this guarantees their doctor will be able to continue to see them. This is simply not the case. Hospitals do not treat patients, physicians treat patients. In fact, by federal law, if a hospital is not on a particular plan, but you go to that hospital’s emergency room, the insurance plan must cover the cost of the care needed to resolve the emergency. Having a particular hospital on a plan is a nice feature to have but, if you have a good doctor, you will get quality care regardless of where you go. If you do not have a good doctor, it doesn’t matter where you go, you’ll never get the best care. Next, review the medication coverage options on the insurance plans that let you keep your key doctors. Which insurance plans cover the medications you need the most and how much do these medications cost on each plan. The marketing department of the plans can help you with this. Calculate the total amount to determine which plan gives you the best deal. 1. Find which plans include your doctors on their network. 2. Get the insurance company’s marketing department to tell you how much your medicines would cost under their plan. 3. Select the plan that covers the doctors you need and gives you the best deal on your medications. Antonio Mesa, DO is a board-certified neurologist and is subspecialty board certified in pain medicine. He specializes in interventional pain management. As part of his clinical practice, Dr. Mesa also runs the pelvic pain service and the pediatric pain service. Dr. Mesa has a dual appointment as an assistant professor of neurology and anesthesiology at the University of Miami Miller School of Medicine. He is the Medical Director of the Jackson Memorial Hospital Pain Clinic. In 2018, Dr. Mesa was appointed to the Board of Directors as President-Elect of the Dade County Medical Association. This article originally appeared in the Guide to Good Health published in the Miami Herald on Wednesday, September 26, 2018.